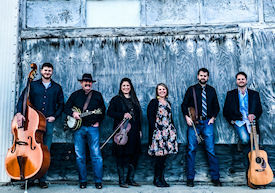 West Virginia-based Blue Steel blends gospel, country, soul, and other various genres with a hard-driving bluegrass sound! The main focus of the band is that hopefully a person who comes to enjoy or listen to their show will leave a little happier, a little more at ease, and can honestly say they had a good time! 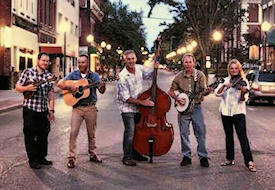 The show consists of several songs the band has written, hard-pounding bluegrass standards, oldies, and various gospel numbers. It's a family show geared towards entertaining Dad, Mom, the kids, and even grandma and grandpa! The band has performed at private parties, convention centers, festivals and various music halls. 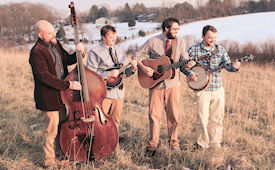 From the western foothills of the Alleghenies, Pennsylvania’s Allegheny Drifters have presented their exciting style of bluegrass for over a decade. 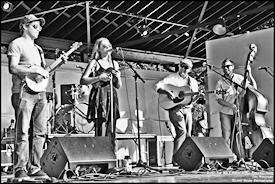 Their engaging, fast-paced show appeals to all ages with fine bluegrass classics, strong soulful vocals and blazing instrumentals. They’ve earned a national reputation for superb song selection and good old-fashioned energy and drive. The Mosley Brothers thread the lines between traditional bluegrass and progressive acoustic music. The Mosley Brothers grew up playing and singing the traditional styles of Flatts and Scruggs and Bill Monroe, later to be influenced by music of all kinds. Their beautiful harmonies and tasteful instrumentation is such that any fan of music is sure to enjoy. 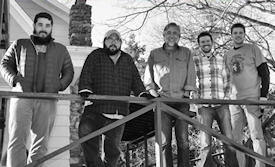 Vocals, Guitar - Joey Mosley, Vocals, Mandolin - Jacob Mosley, Vocals, Bass- Johny Calamari, Banjo - Dean Phillips. 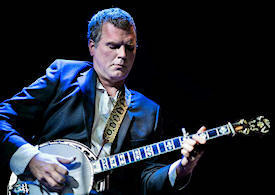 Robert Mabe is a banjo player, singer/songwriter, banjo teacher, from the hills of North Carolina. 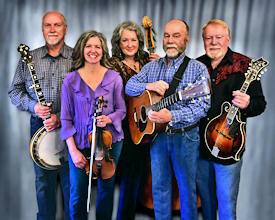 His influences cover a wide range of music from bebop jazz to traditional bluegrass.